> Original Blend Whole Bean Coffee, 1 lb. 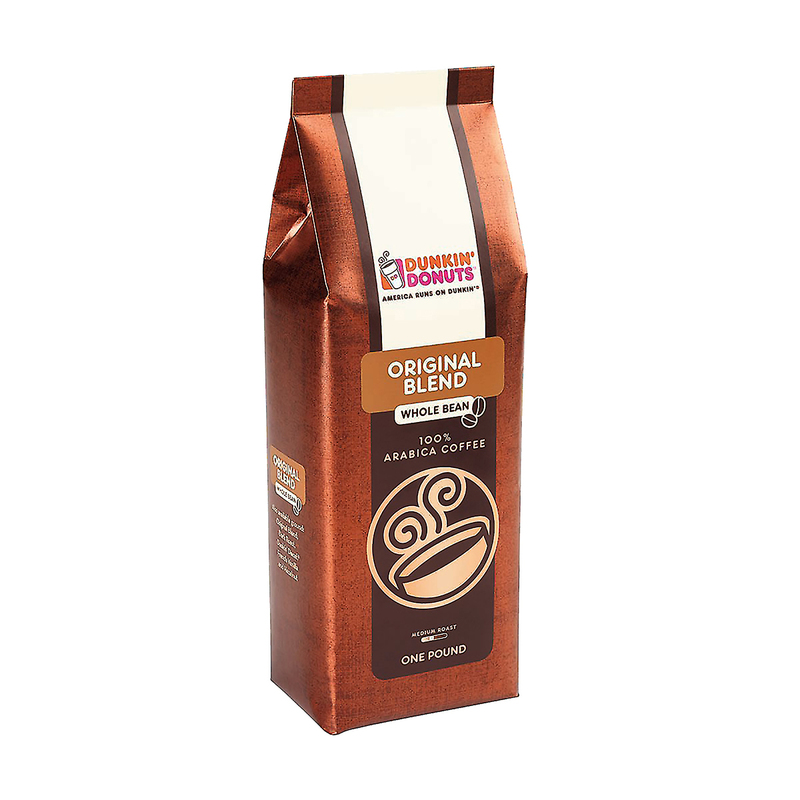 Customers have enjoyed Dunkin' Donuts® Original Blend coffee because we consistently ensure high quality at every step, from picking beans to serving you. Enjoy the same great taste you love in our restaurants in your own kitchen by ordering our 1 pound packages of Whole Bean Original Blend coffee. At Dunkin' Donuts®, we work closely with farmers and coffee experts to select only the best and put each coffee bean through rigorous processes to meet our high quality standards. Throughout each stage, we scrutinize our products and oversee every step from selection to roasting. We want only the best tasting coffee for you. Our legendary recipe uses 100% Arabica beans, which the industry regards as a superior grade of coffee, to provide you with the Original Blend coffee that made Dunkin' Donuts® famous. Each Original Blend package contains 1 pound of flavorful whole beans that are delivered right to your home. Get a jump start to your morning with the freshest coffee possible. Whole beans allow you to grind and brew a pot just like we do in the restaurants for our customers. Grind the beans to your desired consistency just before you brew for a rich, fresh taste every time. Experience the high quality of Dunkin' Donuts® without having to leave home. Order an extra package to keep at the office for a stimulating boost when you need it the most.